How could a team that postponed a series against Zimbabwe to not risk their spot in the 2017 ICC Champions Trophy, not only clinch a title, but win it in a resounding fashion? It is a question that no cricket expert — not even the Pakistan team — can manage to answer. Yes, the team had a process but the fact that they stuck to it, despite all their flaws, is inexplicable. It took Pakistan a humiliating loss, ceaseless criticism, a "special team meeting", slight luck, a captain's innings and some flawless cricket to absolutely hammer India in a high-pressure match, a scenario where a composed Indian team were supposed to prevail. For more reasons than one, Pakistan will probably be happy that India outclassed them in their opener of the Champions Trophy. The "aberration" in the group stage led to this triumphant run. Virat Kohli's men activated Pakistan's transformation from underdogs to winning monsters, only to end up facing their robustness in the final. We had all seen this before. India's playing XI and the decision after winning the toss didn't make any sense. 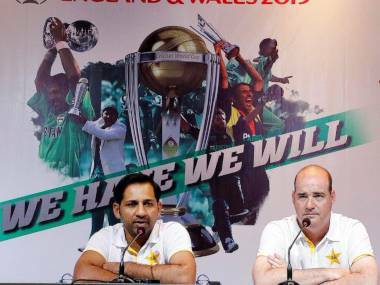 Though the hype and predicted result remained the same, there were signs early at The Oval that hinted the match was not going to turn out the way most people expected it to. There were misfields, unforgivable errors and phases of play that must have made fans pull their hair out in frustration. Pressure got the better of a team that usually deals with it like most teenagers do with their exams: don't care about the moment too much and the tension won't affect you. Two similar games, indistinguishable results, same pattern of winning: Pakistan were at the losing end at Edgbaston and India at The Oval. While watching the opening match, these are the thoughts that must have gone through a Pakistan's fan mind: "Why no Junaid Khan? Wow, Mohammad Amir, what an outstanding over to begin with. Why start with Imad Wasim? Oh god, someone explain these defensive lines to me. Thank god, Sarfraz Ahmed realised Pakistan need wickets. Welcome, Hasan Ali. Wahab Riaz is not a strike bowler, his record since the 2015 World Cup has been shambolic. Let's not discuss his spell to Shane Watson in the CWC 2015 quarter-final, please. A wicket off a full toss to break the opening stand! There we go, how long can one keep Pakistan and dropped catches apart? 72 in the final four overs? The match is done and dusted. 320 is out of Pakistan's reach. Let's just switch off the television sets and go to sleep." Excluding the matches against Zimbabwe, India had lost nine of their last 15 games while chasing coming into this all-important clash against the arch-rivals. So when Kohli opted to bowl after the coin fell in his favour in the final, it felt like India were playing to Pakistan's strength rather than their own. In hindsight, it is easy to point out the frailties of a team. But it was surprising that India didn't make any changes to the bowling line-up, considering that the Indian bowlers struggled to provide breakthroughs in the middle overs in their previous matches. The game against Bangladesh too was drifting away until part-timer Kedar Jadhav's friendly offies did some damage and brought his team back into the game. Pakistan's start to the final was similar to India's innings in the previous encounter in this tournament between these two nations. Then, Mohammad Amir probed Rohit Sharma with some lovely out-swingers to bowl a maiden. On Sunday, Bhuvneshwar Kumar forced Azhar Ali to play out the first over. Fakhar Zaman was the talk of the town. His explosive batting had given his side a new dimension and allowed Azhar to continue playing his anchor role more freely. To counter this, India's think-tank came up with an excellent plan: cramp him for room to frustrate him. The hard work almost paved way for a wicket but Jasprit Bumrah's no-ball spoiled it all. The first few overs were as nervy as it could get for the Pakistan openers. There were outside edges, inside edges onto the pads, risky singles and missed opportunities. On any other day, they would have lost at least two wickets, but luck seemed to favour the 'cornered tigers' and they made full use of it. Azhar played the aggressor's role as the Indian bowlers kept bowling along the middle and leg stump line to his partner. This change of plans from Pakistan forced Ravichandran Ashwin into the attack at the earliest he had in the tournament — during the eighth over. The need of the hour was a wicket but the 30-year old kept on bowling defensive lines. The partnership between Fakhar and Azhar kept flourishing but the Indian spinners simply couldn't. "Nahi, nahi, Ja (No, no, Jadeja)," shouted MS Dhoni from behind the stumps when Ravindra Jadeja bowled a short and wide delivery to Azhar despite there being no deep fielder. The 32-year old cut it behind point to fetch a boundary. It wasn't the first time that the left-arm spinner did that and it certainly didn't turn out to be Dhoni's last cry of the day. When an opening seemed out of India's reach, Yuvraj Singh scored a direct hit and the umpires decided to take it upstairs. After seeing the replays, it seemed like destiny had decided to pause the match and laugh at India's situation, because Fakhar was well in. However, on the next ball, Pakistan's unpredictability showed up, the southpaw was left ball-watching and Azhar had to depart. It was not for the first time in India's campaign that a run-out, a blunder from the opposition, had helped the team break a frustrating stand. Fakhar's attitude after the wicket didn't change though. He kept tonking the bowlers and Kohli kept on persisting with Ashwin, probably with the thought that the only bowler who could end the southpaw's high-risk innings was his skillful and intelligent offie. Before the tournament began, Ashwin had said that he had developed new skills to take wickets on placid wickets. But in the final, there was nothing masterly about Ashwin. Out of the 45 runs that Fakhar scored against Ashwin, 11 were through the off side and 34 came on the on side. His lines were no different against the right-handers, only six runs were scored on the off side, to 15 on the other side of the ground, by Azhar and Babar Azam. However, India's problem with the spinners doesn't just pertain to this match. Before the 2015 World Cup, Ashwin averaged 31.93 at a strike rate of 39.4 in ODIs. Post it, he conceded 47.30 runs and bowled 50.6 balls before scalping a wicket. Jadeja's strike rate and average of 60.4 and 55.14 since 2015 is the second worst for any bowler who has bowled 1,000 balls. A 350-plus score was on the cards but Bhuvneshwar's outstanding spell ensured that it didn't happen. However, amassing 338 in a major final, after being asked to bat, was no mean feat and the defending champions had a tough task on their hands. That job was put beyond India in the first nine overs itself as a withering spell of fast bowling from Amir saw the back of the cream of India's batting. 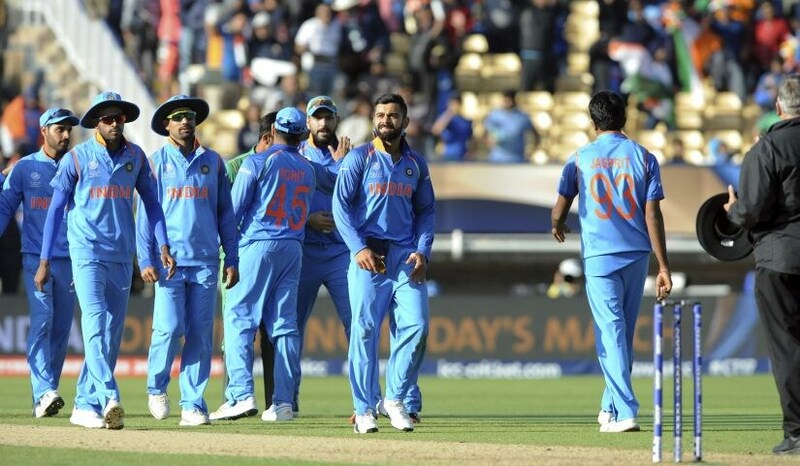 The middle order too faltered under pressure, just like Pakistan had against them in their group encounter. And as if it was on the cards, the only batsmen who showed intent for both teams on 4 June and 18 June — Shoaib Malik and Hardik Pandya — were both run out. Pakistan's early wake-up call led to them winning their first ICC ODI title after 25 long years. They learned from their mistakes in the opening loss, defeated South Africa, the No 1 ODI side; stuttered a bit against Sri Lanka before regaining balance to oust England, the tournament favourites. The defeat Sarfraz and Co handed India fourteen days later in the final cost the Men in Blue the title but it could serve as an eye-opener. Kohli and Co should take it as a precedent and make some drastic changes to the India's spin bowling line-up — the start of which has already been seen with chinaman Kuldeep Yadav's call-up for the West Indies tour. Just like Pakistan, if things work out and the necessary changes are made, India may feel happy that the Champions Trophy final turned out the way it did when they return to England a couple of years later for the 2019 World Cup.